So wait, in what world is this car street legal? The U.K., that’s what world. A little background: Lola Cars was one of the most famous constructors of race cars between 1958 and 2012. They didn’t technically build or sell this car, but it’s based on their stuff and was built by their employees. 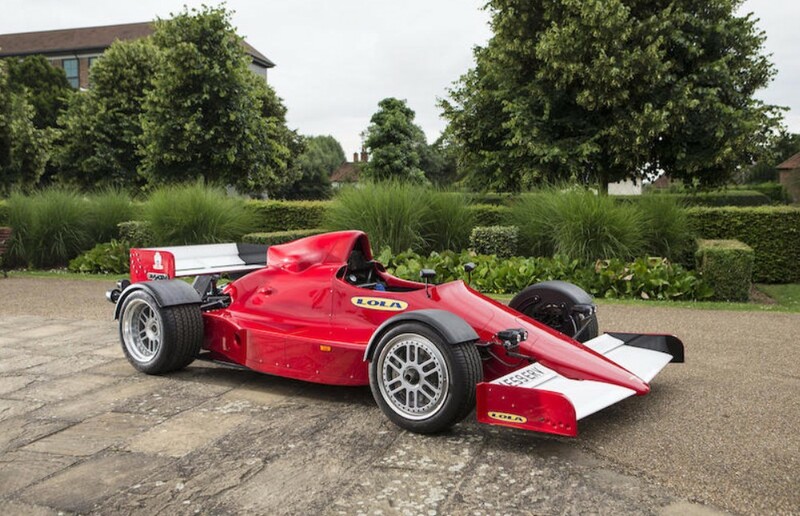 To explain: someone (presumably with a lot of disposable income) bet the engineers at Lola that they couldn’t build a street-legal Formula One car. Race car designers aren’t people that like to say “No” to a technical challenge, so they actually ended up doing it. It started with a Lola chassis from 1996 or 1997 and most of the body panels that came with it. The engine is a turbocharged 2.0-liter Cosworth straight-four making 370 horsepower that is driven via a five-speed manual transmission. It has lights, an increased ride height, parking brake and “fenders” over the open wheels. The car is essentially brand new, having covered only 25 miles since its completion – probably because, as cool as it is, it is probably a little terrifying to ride between two tractor trailers while in this thing. This one-off supercar should bring between $68,000-$110,000. Click here for more info and here for more from this sale. Update II: Sold, Silverstone Auctions, July 2018, $69,277. This entry was posted in Uncategorized and tagged 1996, 2009, auctions, Bonhams, cars, f1, f1r, formula one, lola, supercars by classiccarweekly. Bookmark the permalink.